Recently for my Games and Society course I wrote a paper about how to define Roguelikes as a genre. Turns out that topic is a bit complicated, and once I’ve figured out how to break that paper down into a manageable blog post I’ll share my thoughts on it. But today I wanted to share something broader I learned while researching that paper about how video game genres come to be. Genre creation is a fairly simple process made up of four steps. The first step is someone makes an innovative and successful game (I said it was simple I never said it was easy). The next step is that that game gets copied. A lot. People try to emulate and capitalize on the success of the original game by cloning it over and over again. The third step is that the clones start to get…weird. They start challenging fundamental aspects of the original game or mixing it with elements from other genres. Sometimes these new games change so much that they look almost nothing like their original inspiration. Finally, after enough time, we move to the final step where a few core traits emerge consistenly across all the games. Those traits then form the basis for the genre. This matters because a lot of people get caught up in whether or not a game should be part of a genre, but I think this misses the point. These arguments tend to pop up a lot when genres start moving from step 2 to step 3 and the “clones” start diverging a lot from the original. At this point, fans start getting protective and feel like the genre is getting corrupted or expanded and losing what made it special. But this isn’t the case! We want the clones to get as far away from the original as possible so we can know everything the genre has to offer. 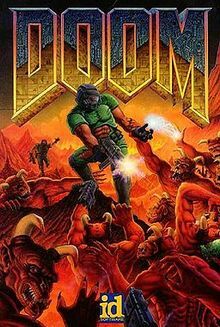 Imagine if every FPS game today was just like Doom. Then we wouldn’t have games like Battlefield, Call of Duty, Overwatch, Team Fortress 2, Antichamber, Far Cry, Half-Life, Splatoon, etc. It’s only by letting the genre evolve that we can keep making fun and innovative games. So don’t worry if a genre is faithful to where it came from. Instead, get excited about where it’s gonna go next. TL;DR: If you want to make a genre, here’s what you gotta do: make something cool, get it copied, and then let the copies get weird. Eventually, you’ll have a genre…in like 10-30 years. Want to learn more about this? Check out Mark Brown’s fantastic video on the Soulslike Genre, Amr Al-Aaser’s excellent essay about mythologizing games, and Greg Costikyan’s interesting article which takes a more historical perspective on genre.